The Western Qing tombs as the name suggests are tombs of the four royal mausoleums where seventy-eight royal members in all are buried. 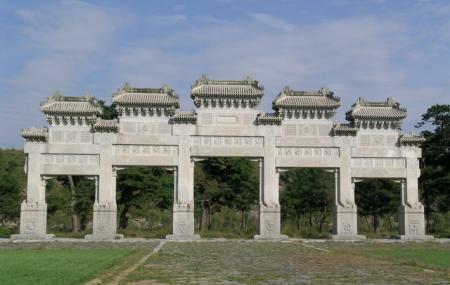 The necropolis is located in the southwest of Beijing in Yi County. A truly different and historically important attraction the place sees a lot of tourists all year round. So if you want to know more about the city and its early days then visiting the destination is a good idea. CNY122 at peak season (Apr 1st to Oct 31st) / CNY 82 at low season (Nov 1st to the next Mar 31st). How popular is Western Qing Tombs? People normally also visit Dajue Temple while planning their trip to Western Qing Tombs.